What an incredible trip we had! We returned home just a couple of days ago, and I’m still trying to catch up on sleep and get back into my normal routine. Luckily, we had the whole weekend to do so. So, Paris. It was everything I had imagined it would be, and more. 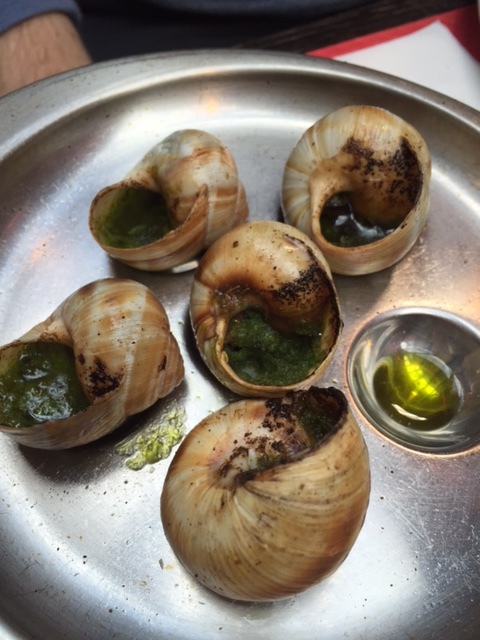 We were in the City of Light for three full days — so we had a lot to see/eat/do during that time. 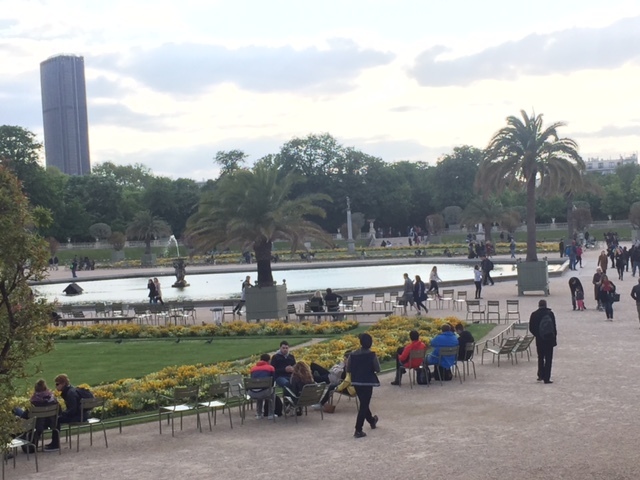 Here is an overview of our three days in Paris. 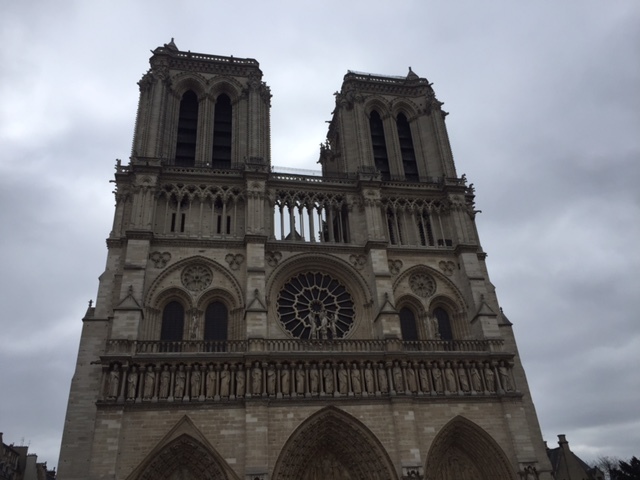 We took a flight Friday night, which landed us in Paris on Saturday morning at 8am due to the time difference. I was worried we’d be so exhausted from missing a whole night’s sleep that we wouldn’t be able to keep our eyes open (as I have experienced the misery of when traveling to Europe previously), but was SO impressed with both of us that we kept pushing on. So that first day, we landed at 8am but going through customs was a sh*tshow so we didn’t get out of the airport until almost noon. 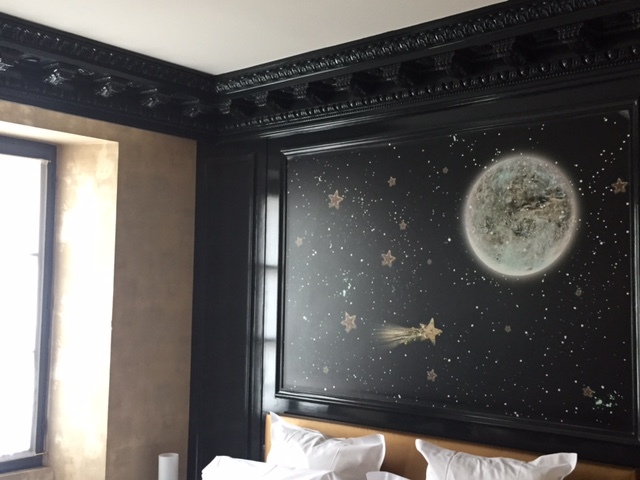 We took a cab right to our hotel in the Le Marais (3rd arrondissement), which I was totally in LOVE with the area. 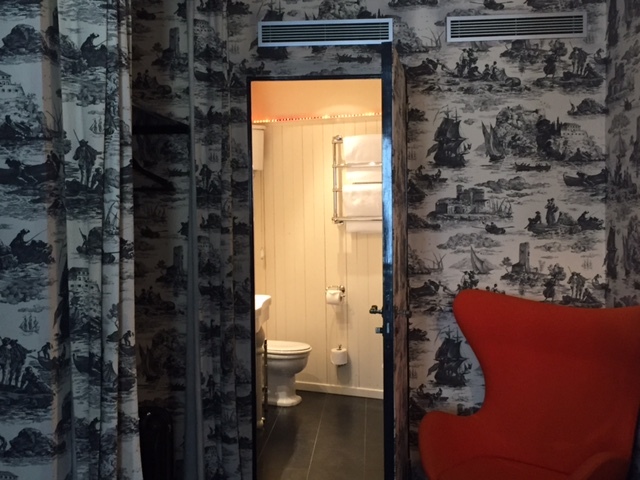 Our hotel was called Hôtel du Petit Moulin, and was just perfect. Below is a photo of it, which was a bakery years ago. 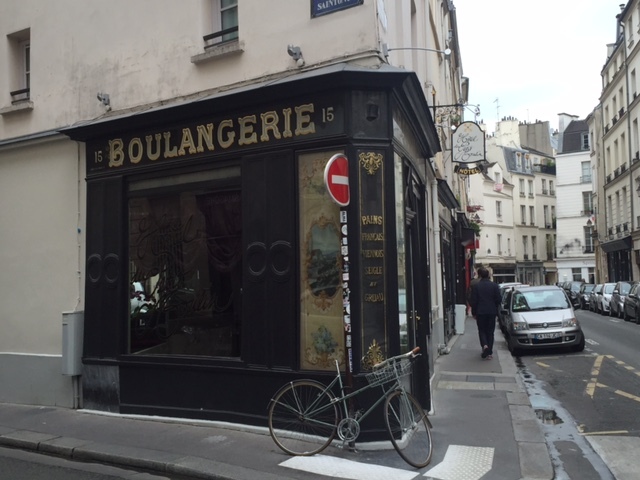 They kept their original shop frontage, reminding guests of its former past as a Boulangerie. After we dropped our bags off, we went for a walk to begin exploring the City. We stopped by a cafe to grab an espresso and some pastries, and then continued on. 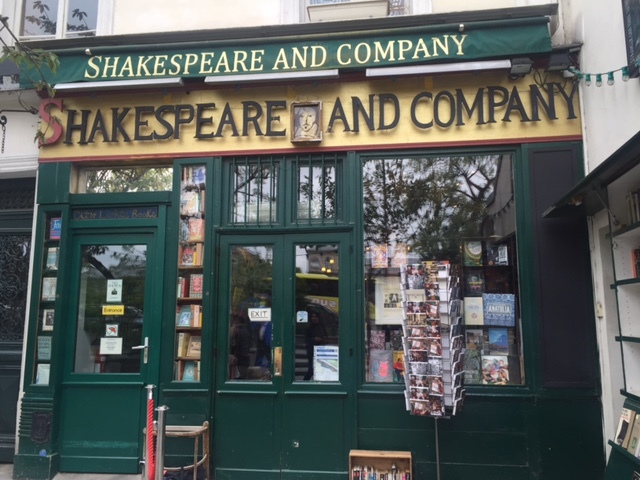 We walked by the Notre Dame, stopped at Shakespeare and Co., a MUST for me. This is where Ernest Hemingway used to write, so I thought it would make sense to buy A Moveable Feast, by Hemingway. 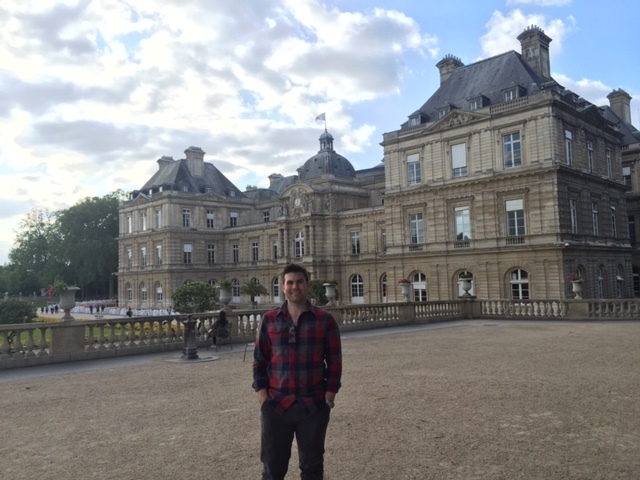 We then walked around the Latin Quarter, found the Pantheon, went to a total dive bar called Le Crocodile, and stopped by the Luxembourg Gardens. 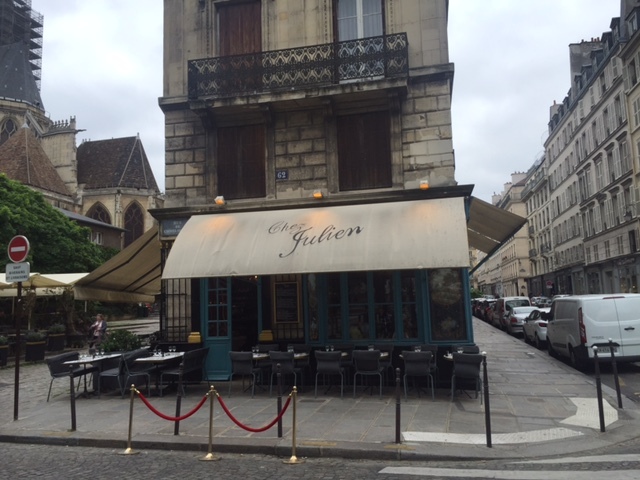 From here, we went to a famous steak frites restaurant that a handful of people had told us to go to called Relais de l’Entrecôte, in the Saint-Germain area. I ate my ENTIRE plate, and then they come give you seconds, which I also ate. We walked a LOT in the three days we were in Paris. Like as in 10-12 miles a day, which was good since we also ate a LOT. We did as the Parisians do and walked along the Seine with a baguette in hand. We walked and walked and walked. 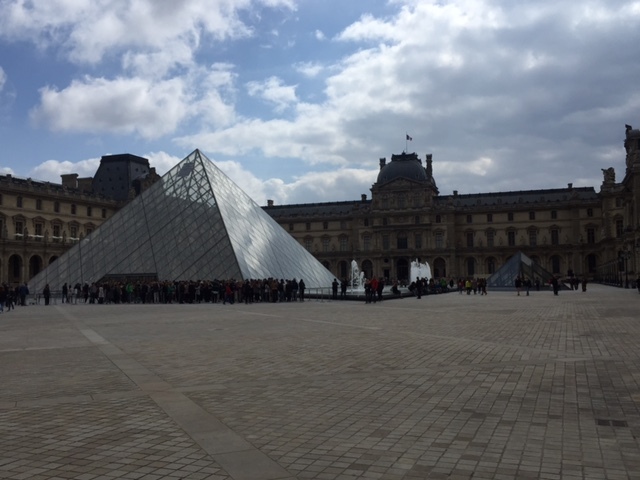 We walked through the Louvre, but did not go in. The lines at these places are crazy, and I’d rather spend my time taking the City in than standing in a line for two hours to see Mona Lisa being judgy. We also walked by the D’Orsay Museum, which is a beautiful building that used to be a train station. I was told that if you do go into only one museum, it should be this one. I did want to go in, but again, the line…. We were on a timeline this day, which I learned is a very American thing: watching the time. You can take the girl out of America but you’ll never take the American outta the girl. 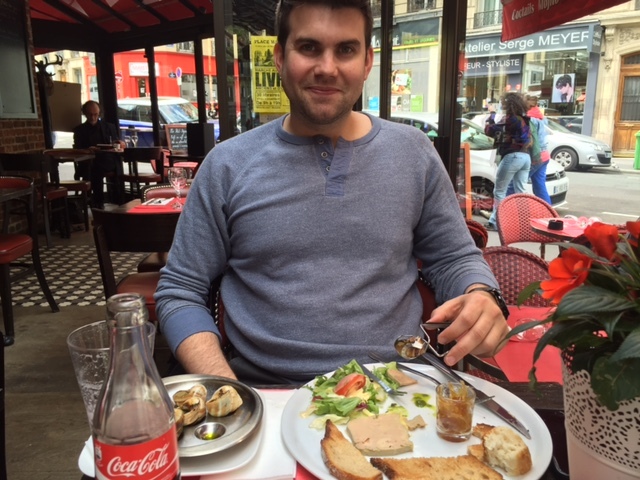 Next, we grabbed some lunch at a cafe we stumbled upon, where I had my first escargot (which is delicious and can’t believe I haven’t been eating this all my life), and also tried Evan’s foie gras (which I will happily continue to live a foie grasless-free life). Don’t mind the Coca-Cola in the photo, I had asked for a coffee and received this. I guess I said “coffee” wrong, but whatever – I went with it. I hadn’t had a Coca-Cola in years. Here’s why we were watching the time, we had to be back in Le Marais at 3pm for a two hour World War II walking tour. Le Marais was the area of the City we were staying in, and also the old Jewish quarter of Paris. The WWII tour was very cool and terribly sad at the same time. 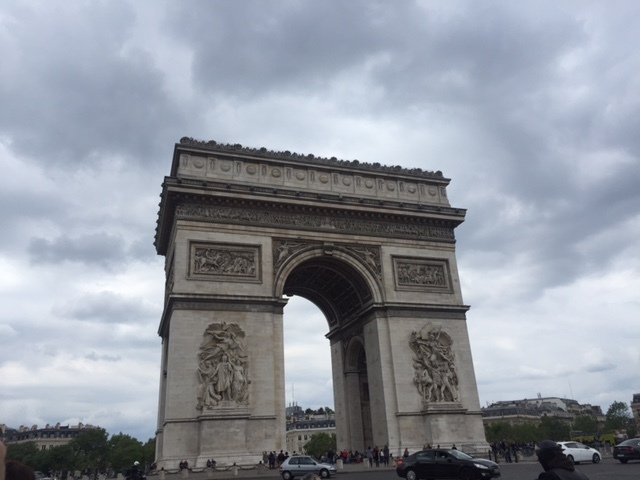 We learned about the food rationing, deportations, went to the Paris Holocaust Museum, learned about the French resistance, and then ended on a more positive note talking about the liberation of Paris and all of the heroes who tried to help along the way. This tour was run by a company called Localers, and our guide Corey was great. 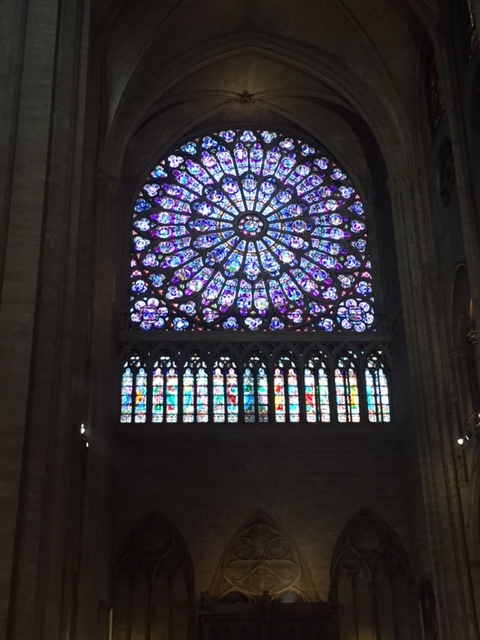 After this, we went inside the Notre Dame. We both lit a candle there. Then we went back to the hotel to rest for a bit and get ready for dinner. 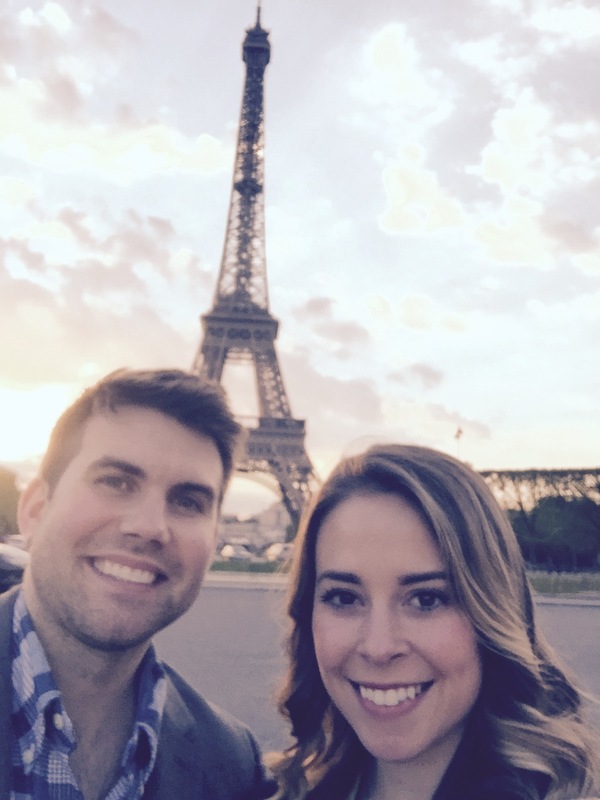 We took a cab over to the Eiffel Tower just as the sun was about to set. It is so massive. Next we stopped for dinner at a great restaurant, Les Crocs de l’ogre, which was right down the street from the Eiffel Tower. 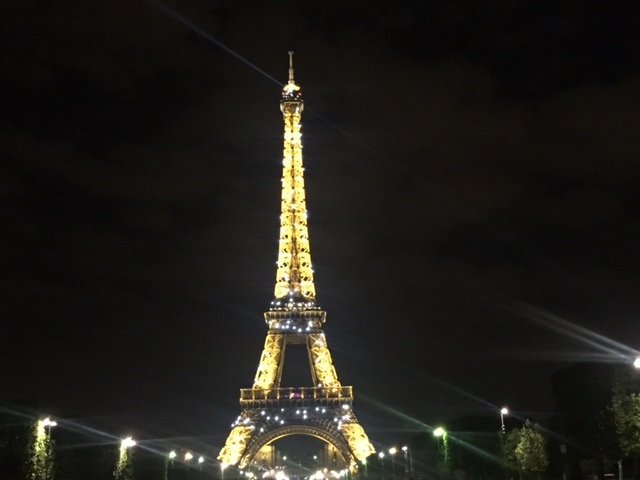 I had to see the Eiffel Tower lit up at night, so we walked back over there after dinner and made it just in time for the Tower to start twinkling its 11pm light show. It was magical. The next morning we were reaching exhausted. We decided to take it a bit easier on ourselves this day and sleep in a bit, we slept until about 11am. I had noticed that this City does happen to start later than any American City would. Even cafes don’t open until about 9am, which would be unacceptable in the U.S. I guess there’s that American-time thing again. Once we woke up, we went to Les Miserables Cafe, just down the street from our hotel. I got eggs with cheese, and a cafe creme (closest thing to American coffee, if you just order a coffee you’ll get an espresso… or a Coke). Next stop was the Arc de Triomphe and the Champs-Élysées. 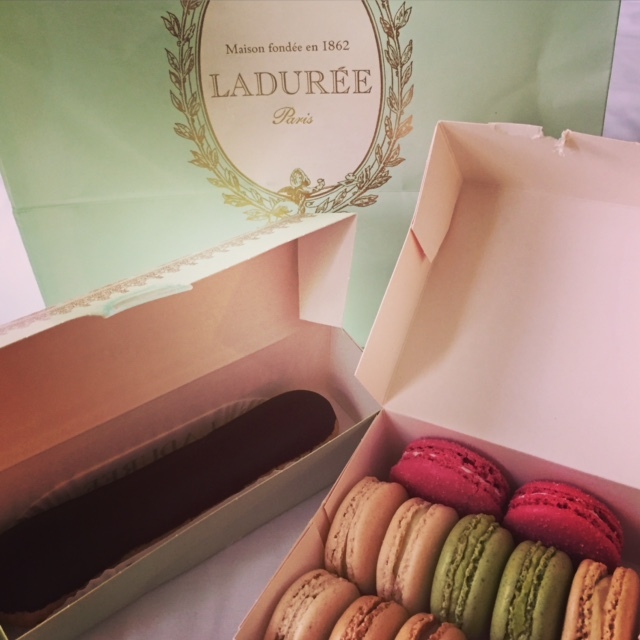 On the Champs-Élysées we stopped at three places: Ladurée, where we bought macrons, an eclair, and some other thing I’m not sure what it was; Louis Vuitton, where we bought nothing; and this place called McDonalds, where we each bought something called a Big Mac. Not sorry. And honestly, this McDonalds was crazy. Security checked our bags before we went in, everything was electronic, and it was immaculate. I have read that it is the most profitable McDonalds franchise, but I have not checked that fact. After this, we went back to the hotel again to freshen up and get ready for dinner. 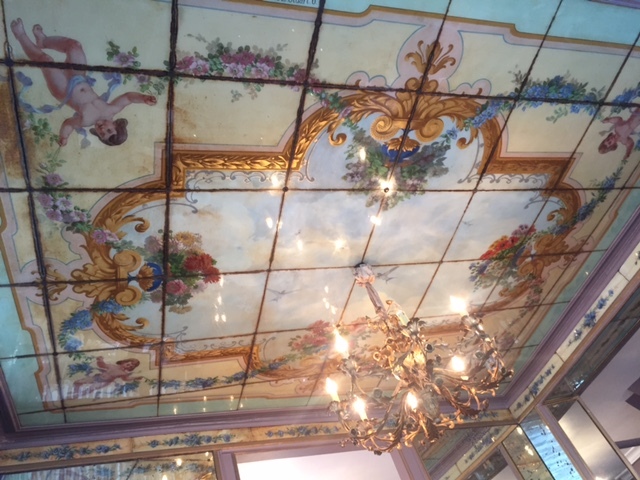 Our last Parisian dinner was at a beautiful restaurant Evan found in Le Marais, called Chez Julien. It was delicious. 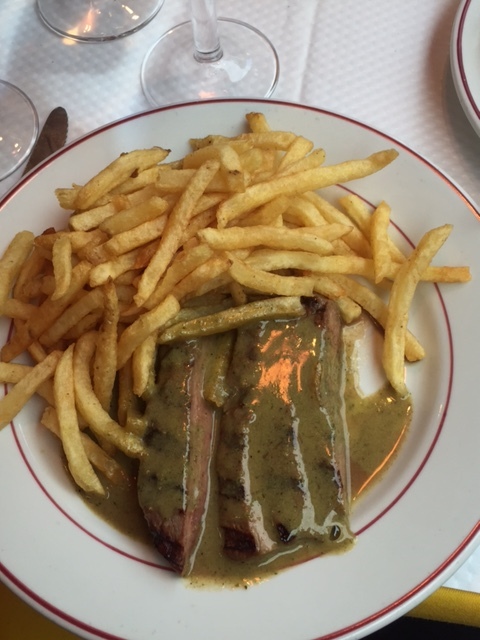 I got steak frites (again) and it was SO. WORTH. IT. These steak frites beat the first ones I had, it was incredible. Security — people have asked me what their security is like there after the recent terrorist attacks. You do often see soldiers, typically in groups of 4 but maybe more, strolling the streets with machine guns. This was very common in the area where we stayed, Le Marais. It did not make me feel uncomfortable but did actually make me feel more secure. They were not straight-faced soldiers, standing in place. They walked around, were friendly and said hello; which, I think helped ease the fact that they are not a threat, but are there to protect. English — I thought that since Paris is a huge international city, many more people would be fluent in English. I was surprised at the lack of English-speaking Parisians. Which there is nothing wrong with that, just interesting to me, and created a communication barrier between us and some things that I think made me feel insecure at times. Coffee — It is different than in America. It is so amazingly convenient to stop anywhere in the U.S. and grab a coffee. You do not see anyone in Paris walking with a coffee. You cannot take coffee to-go. Coffee is really only available when you’re sitting down at a restaurant/cafe. This was a challenge, especially later on in our driving portion of the trip. It is incredibly hard to take a road trip without a coffee. So that’s a lot of text, which I apologize for. But — I couldn’t leave any of this out. And surely, there was a lot more that we saw and did besides these things. Every where you look in Paris is beautiful: every bridge, every building. And there is SO much history. 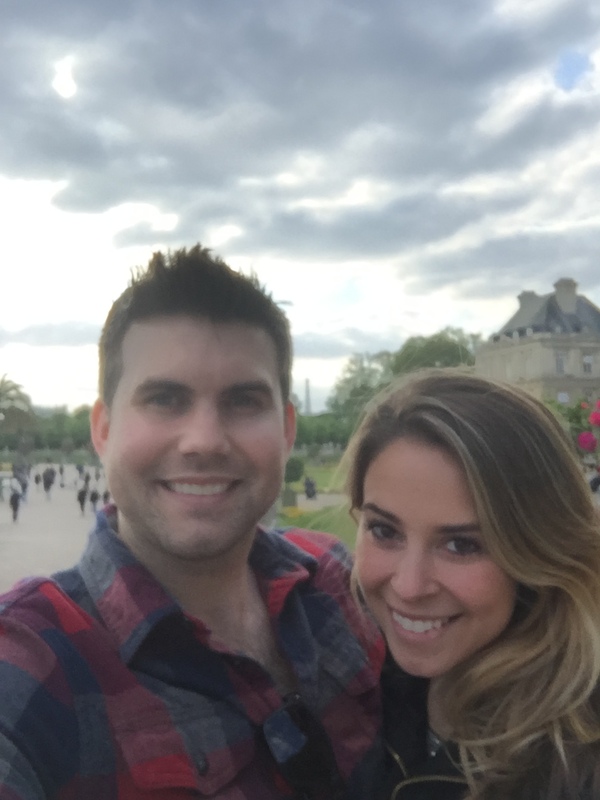 Our trip to Paris was amazing and I feel so fortunate to have been able to experience it with Evan. I will surely return one day. We still had two more destinations after Paris: Reims and Normandy, so I’ll be writing about those this week too.